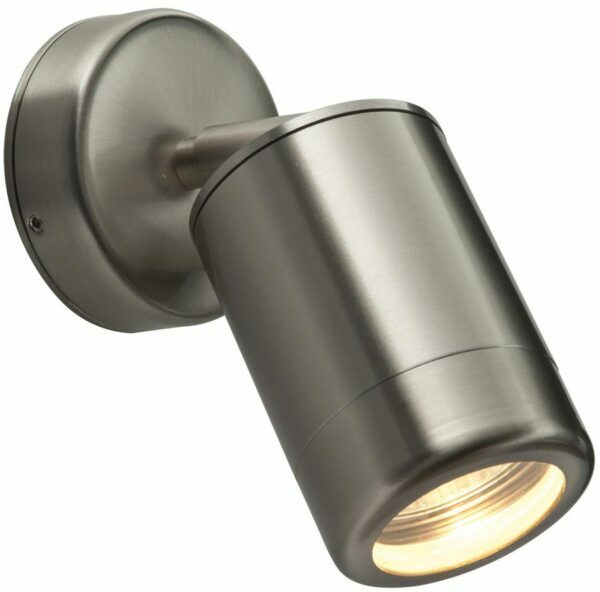 The Odyssey stainless steel modern adjustable outdoor wall spotlight, rated IP65 and suitable for the most inhospitable exterior locations. Finished in brushed stainless steel it offers a stunning designer look at an affordable price. Matching items are available in this range, please scroll down to view. Sleek design, with a circular wall mount and stainless steel tube fitted with a fully adjustable spotlight head for maximum flexibility. Shine a beam of light exactly where you want it to welcome visitors to your door. Ideal for use with an energy efficient LED lamp to reduce running costs. Please follow this link to download or view the installation instructions.